Human Resources onboarding doesn’t have to be challenging or time consuming anymore. Whether you’re at a school, in business or working for a government agency, the sheer amount of paperwork involved in hiring a new employee is staggering. Time and money is wasted at nearly every step of the process, from copying, routing and filing forms to retrieving, updating and archiving existing documents. And that’s before taking into account the legal and compliance issues created by an ever-expanding web of state and federal regulations. Put outdated processes to bed with Human Resources Gateway. Human Resources Gateway eliminates manual data entry providing new hires an easy to use online portal that can tie into your existing Application Managment platform. Human Resources Gateway provides a completely integrated software based document scanning solution to capture onboarding documentation such as birth records, social security information and much more. Human Resources Gateway manages all payroll and benefit elections both at the time of hire as well as annual renewal. Human Resources Gateway can manage all of the required training documentation such as Continuing Education, Harassment, OSHA and more. HR Gateway by SRC Solutions is a paperless, configurable, web-based portal that streamlines the intake, retention and distribution of documents related to hiring new employees – including reporting required by state and federal mandates. By collecting and storing employee information digitally and automatically integrating with existing content management and school information systems, HR Gateway creates a streamlined office environment where storage, file access and security problems are things of the past. HR Gateway handles the entire HR onboarding process, from beginning to end. New hire information is entered electronically, rather than on uncontrolled, error-prone paper documents. Critical data is then integrated seamlessly with Registration Gateway, HR, ERP and financial systems–instantly ensuring 24/7 access by authorized users and maintaining existing functionality. And the use of a single integrated system reduces the IT bandwidth needed for support. Click here to learn more about Human Resources Gateway. 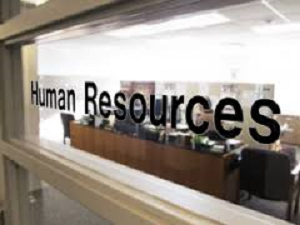 Find out what Human Resources Gateway can do for you. Register for a free demo today and see the immediate cost and time saving benefits.